"Looking very smart - its good to see FDC treating its older buses this way. Cant have that long left in service?" Ironic because this bus is now in service in Plymouth, although in plain white for Target Travel who seem to be using it on the 14 more than anything else at the moment. It is still looking very smart too. It does seem an odd choice for Target as they have been mainly Solos for some time now. 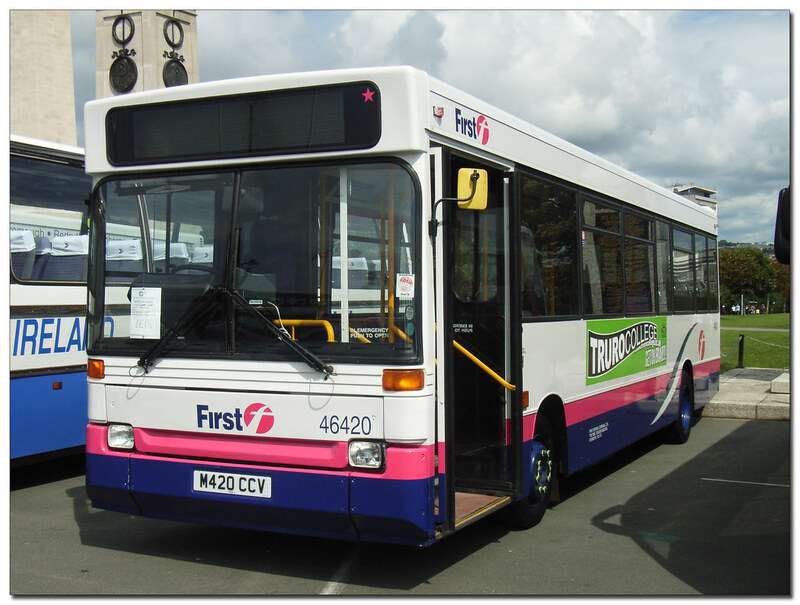 Its also very rare for ex First buses to appear with other operators.